Our lunch menu has a wide array of offerings that go beyond our delicious pizza and pasta; we have a number of hot or deli-style sandwiches, burgers, and salads to choose from. We also offer two different homemade hearty soups that are prepared fresh in-house daily. Whether you have time to relax and enjoy a juicy steak or delightful fish and chips or you are simply in-and-out for a soup and salad combo, we will be sure to accommodate. For dinner, we have a great selection of Italian dishes including pastas that are served with our very own homemade sauces. We also have a number of items from our grill including fresh chicken, succulent steaks, including our sirloin and ribeye, and a full rack of baby back pork ribs. Of course, you can’t miss out on our pizza. All of our pizzas are made with our signature homemade crust and pizza sauce. We have 25 different flavour combinations to choose from – although we certainly encourage you to build your own creation! We haven’t forgotten about the younger friends of our Matador family either. Allow them to mix and match their entrée and side dish to suit even the most unique tastes. 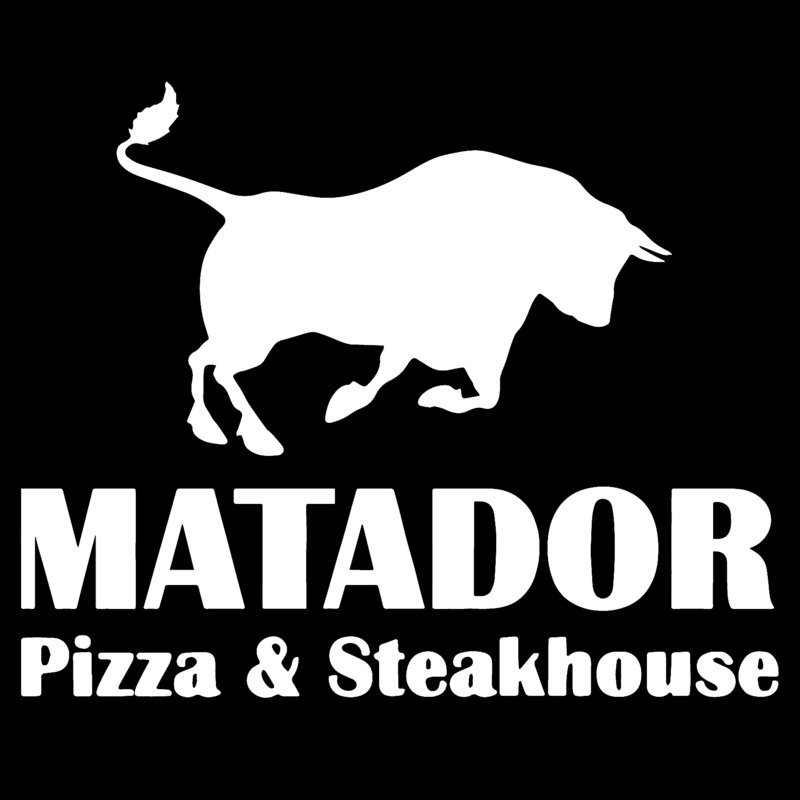 We even have a smaller sized steak and a special six-inch sized pizza so each little one can experience all the delicious options that Matador has to offer.